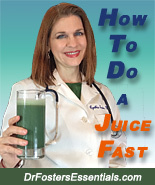 Organic foods and herbs clinically proven in Cynthia Foster MD's holistic practice for over 20 yrs. Fresh juices of organically grown Ginger, Cayenne, Horseradish root, Onion and Garlic. Herb strength ratio - 1:1. Steeped for at least 2 weeks and up to 2 months with vibrational remedies added. Garlic has a natural mild blood thinning effect (safe by itself): do not combine with prescription blood thinning medications (Coumadin®, Warfarin, Lovanox®, Plavix®, Ticlid®, or Eliquis®, etc.). Because of its stimulating effects on the bowel, it is not for those with chronic or active diarrhea or women in their third trimester of pregnancy. Due to the blood thinning effect, do not take within the 10 days before or after surgery. 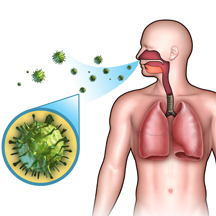 I've used germ blaster for many years, with much success in stopping a cold before it takes hold. It has been a blessing for me and my daughters family! As a grandma who has little ones to watch on occasion, I can't be harboring cold germs which often spread to upper respiratory infections if not stopped quickly. Very much recommend.